Alpha Rev unearths a sampling of the band's earliest recorded material. After nearly four years, the sextet from Austin finally releases to the public 13 tracks that have gone largely unheard to date. 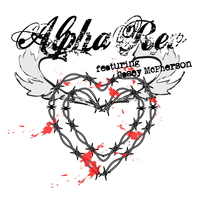 Several elements of this record strike us as particularly amazing, not least of which is that Alpha Rev front-man, Casey McPherson, recorded and mastered this disc in his bedroom, using an iBook. A number of these tracks, such as "Stuck in A Crowd", "Big Blow", and "On My Knees" (later retitled "The Beauty of Falling Down") persisted through the band's first record (twice released as "The Greatest Thing I've Ever Learned"). On the other hand, "Better Than That", "Fade in Tomorrow", "Biography", "I Love You So", "China Sunrise", "Leave Me Alone", and "Stuck in A Window" are heard for the first time in their original arrangements -- fidelity intact. With brand new cover art, Alpha Rev's first ever release (previously distributed only by hand), is now available for your aural edification.